↑ 11.0 11.1 Galili, I.; Tseitlin, M. (2003). "Newton's First Law: Text, Translations, Interpretations and Physics Education". Science & Education. 12 (1): 45–73. Bibcode:2003Sc&Ed..12...45G. doi:10.1023/A:1022632600805. ↑ Benjamin Crowell. "4. Force and Motion". Newtonian Physics. ISBN 0-9704670-1-X. 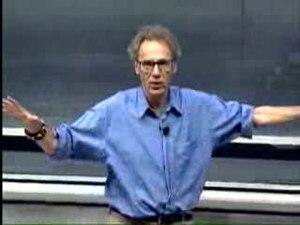 ↑ Walter Lewin (20 September 1999). Newton's First, Second, and Third Laws. 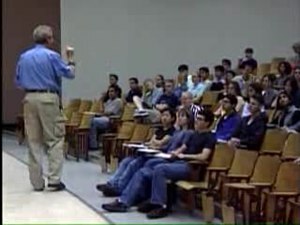 MIT Course 8.01: Classical Mechanics, Lecture 6 (ogg) (videotape). Cambridge, MA USA: MIT OCW. Event occurs at 0:00–6:53. สืบค้นเมื่อ 23 December 2010. ↑ 20.0 20.1 20.2 Plastino, Angel R.; Muzzio, Juan C. (1992). "On the use and abuse of Newton's second law for variable mass problems". Celestial Mechanics and Dynamical Astronomy. Netherlands: Kluwer Academic Publishers. 53 (3): 227–232. Bibcode:1992CeMDA..53..227P. doi:10.1007/BF00052611. ISSN 0923-2958. "We may conclude emphasizing that Newton's second law is valid for constant mass only. When the mass varies due to accretion or ablation, [an alternate equation explicitly accounting for the changing mass] should be used." ↑ 22.0 22.1 Kleppner, Daniel; Robert Kolenkow (1973). An Introduction to Mechanics. McGraw-Hill. pp. 133–134. ISBN 0-07-035048-5. Recall that F = dP/dt was established for a system composed of a certain set of particles[. ... I]t is essential to deal with the same set of particles throughout the time interval[. ...] Consequently, the mass of the system can not change during the time of interest. ↑ 28.0 28.1 Resnick; Halliday; Krane (1992). Physics, Volume 1 (4th ed.). p. 83. ↑ Cohen, I. B. (1995). Science and the Founding Fathers: Science in the Political Thought of Jefferson, Franklin, Adams and Madison. New York: W.W. Norton. p. 117. ISBN 978-0393315103. หน้านี้แก้ไขล่าสุดเมื่อวันที่ 14 กันยายน 2561 เวลา 02:14 น.